Just checking to see if you are paying attention. Of course the Pittsburgh Steelers don’t have cheerleaders…not anymore. They did at one time and they were called the Steelerettes…in fact they were the first NFL team to have cheerleaders. The group only lasted nine years, due mainly to the owner’s traditional values. By the late ’60’s, other NFL teams were using cheerleaders with skimpy outfits, and this didn’t sit well with the family that owned the Steelers, who subsequently discontinued the squad. And here’s an Associated Press article from 2006 highlighting the history of the Steelerettes that was originally posted on ESPN.com. PITTSBURGH — They wore knee-length skirts, bobby sox and hard hats, and couldn’t fraternize with the players. Their pay? One ticket per game. The Steelerettes were the first females of the gridiron, long before Seattle’s Sea Gals, Oakland’s Raiderettes and the Buffalo Jills. And get this: Pittsburgh had guy cheerleaders, too — the Ingots. But the NFL’s first rah-rah squad was far from a group of midriff-bearing dancers that root from the sidelines today, make public appearances and — like the Dallas Cowboys Cheerleaders — star in their own reality TV show. 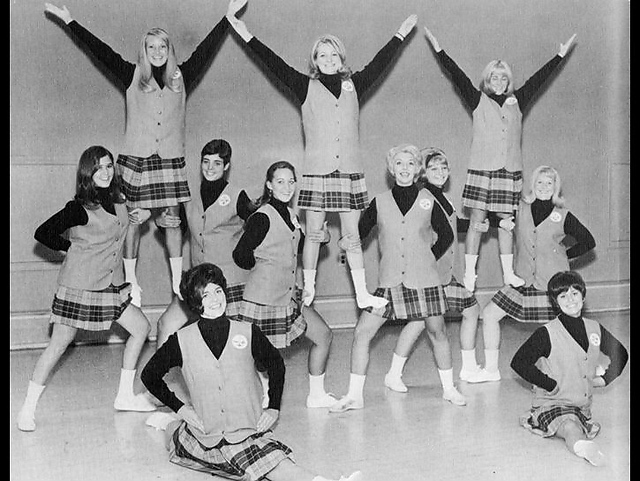 The Steelerettes of the 1960s also didn’t last long — just nine years. The Steelerettes were started for the 1961 season, a year after the Pirates won the World Series. The Steelers were having a hard time giving away tickets at Forbes Field. William V. Day, the Steelers’ entertainment coordinator, thought adding cheerleaders to the sidelines might change that. Day, who at the time was vice president of Robert Morris Junior College, also thought it could help the school, which didn’t have a football team of its own. So he spoke to his good friend and team owner Dan Rooney. “I said to him one day, ‘You got a team without cheerleaders and I’ve got a college without a team,” Day said. Day came up with the name Steelerettes, who were all Robert Morris students. Dianne Rossini, of Uniontown, cheered for the Steelers in 1963 and maintains a Web site dedicated to the group. She said the women were chosen based on their looks, personality, coordination and gymnastic ability. They also had to maintain a 2.0 grade-point average and take a football test — mostly showing they knew enough about the game to know when to cheer.  Norreen Modery, 61, of Bethel Park, saw the tryouts advertised in the school newspaper and made the team in 1964. “There were a lot of empty seats but we were out there having a good ol’ time,” said Modery, who remembers the cheerleaders were always positioned on the visitor’s side and occasionally got run over by players who were knocked out-of-bounds. She left the squad after a year to get married; only single women were allowed to be Steelerettes. The women performed to live music, and a baton twirler was added in 1962. The team also briefly added male cheerleaders, called the Ingots in homage to the steel mills that were the lifeblood of the city. But in the late 1960s, the Steelers started talking about plans to build Three Rivers Stadium and changing the direction of the team. Other NFL teams had started using cheerleaders and the skimpy outfits didn’t fit in with the Rooney family’s traditional values, Day said. “The thinking … was we wanted the emphasis to be on the team — and that doesn’t sound like a momentous decision, but that was what the idea was for all the times that I was with the Steelers,” said Day, who worked with the team for 25 years. So the Steelerettes did their last pyramid for the 1969 season. The Steelers went on to win four Super Bowls over the next decade, and have sold out every home game since 1972. Numbering about 60 in all, the Steelerettes had a reunion in 2001 at Heinz Field, and since then regularly meet every few months. Steelerettes memorabilia, including Tanner’s old uniform, are on display at the Western Pennsylvania Sports Museum. Modery said she’s flattered to be a part of NFL history, though that wasn’t her motivation at the time. “Back then you never thought of anything instead of just enjoying what you were doing,” Modery said. Tanner said she learned a lot about exercise and discipline from the experience and made lifelong friendships from her days as a Steelerette. She also said she understood why the team scrapped the Steelerettes.